Are you interested in becoming an Educator with Kids at Home? Southside: Cannon Hill, Bulimba, Hawthorne, West End, Annerley, Norman Park, Tingalpa, Coorparoo, Carina, Camp Hill, Carindale and Greenslopes. Northside: Geebung, Alderley, Kedron, Stafford, Everton Park, Graceville, Mitchelton and Newmarket. If you are interested in becoming part of our excellent service just let us know. 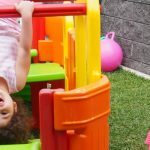 Tagged Child Care, Child Care Jobs, family day care, FDC, home based child care, Kids at Home, Queensland, Working From Home.